We have a guest speaker on the coming Thursday, Perter DeMarco. 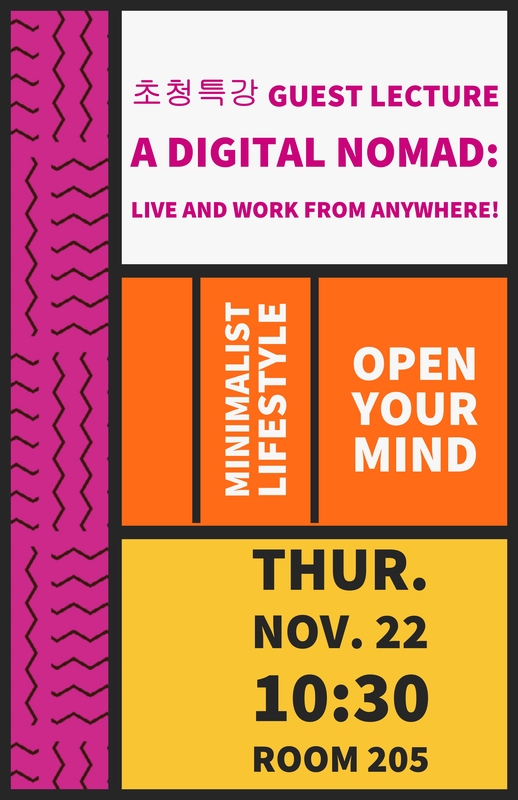 He will talk about "Secrets of a Digital Nomad: How to Live and Work from Anywhere". See the world, share your story. Open your mind (and others). Closing: Live the life you want to lead.